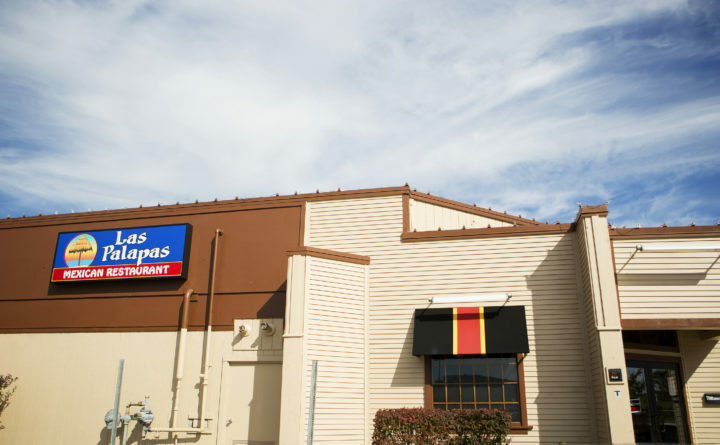 The exterior of Las Palapas in Bangor is seen in this 2014 file photo. The restaurant's owners are opening another location on Wilson Street in Brewer. There’s a bumper crop this spring of new places to get grub in the Bangor area — from a tasty breakfast in a cozy cafe to a classic Southeast Asian soup for takeout. Here are four new joints from Winterport to Orono, as well as a new wine, beer and spirits store that opened this spring. This new Vietnamese and Thai restaurant opened in late May, offering delivery and takeout from the little red building that formerly housed Jewell’s Pizza Oven. Pho lovers, rejoice: Pho Hoa, as its name suggests, serves the iconic Vietnamese soup. There’s also wonton noodle soup, vermicelli noodles, pad Thai, quail eggs, fried Brussels sprouts, Asian slaw and an array of other appetizers and salads. There’s no eat-in, so give the eatery a call at 990-4500. It’s open from 10 a.m. to 9 p.m., Mondays through Saturdays. A full menu can be found online. Brunch has returned to Winterport, with the opening of the Bantam Cafe, located in the tiny space on Main Street that formerly was home to both the Bacon Tree and Amigos Tacqueria. In addition to breakfast and brunch items like Benedicts, French toast and sweet and savory crepes, there are lunch options like Reubens made with house-made corned beef, the Appenzeller (chicken, brie cheese, figs, apple and caramelized onions), and the Nest Egg salad (sauteed Brussels sprouts, maple sausage, goat cheese, greens and a poached egg). There’s also an ever-changing pastry case and other assorted specials. It’s open for breakfast and lunch, Wednesdays-Mondays. Located next to Spotlight Cinemas, Gr8ful Pie serves up soups, hot teas, fresh squeezed lemonades, desserts and, most importantly: hand pies. The cafe’s individual hand pies are comprised of flaky pie crust filled with treats like buffalo chicken, pulled pork, pepperoni and cheese, French Canadian tourtiere and broccoli Alfredo. Interestingly, the hand pies — along with every other item on the menu at Gr8ful Pie — is gluten-free. It’s open 11 a.m. to 7 p.m., Wednesdays-Sundays. Four years after Las Palapas Mexican Restaurant opened out by the Bangor Mall, the restaurant’s owners have expanded to a second location. Las Palapas took over the former Pizza Hut on Wilson Street in Brewer over the winter, and have been renovating the space for the past few months. Expect a similar menu to the Bangor location — Mexican and Tex-Mex favorites like enchiladas, fajitas, fish tacos, queso dip and powerful margaritas. The restaurant isn’t quite ready yet, but according to its Facebook page, a July opening is slated. OK, so this isn’t a restaurant. It is, however, a new wine, beer and liquor store located just over the Brewer town line on Route 1A in Holden. It claims to have the largest selection of beer and wine north of Portland, and it’s open seven days a week. If you’re on your way to camp or a weekend on Mt. Desert Island, this will be an easy stop to pick up supplies.